Can you survive the end of the world, never see the sun again, never enjoy a relaxing day on the beach? If you can, then this mod i for you. 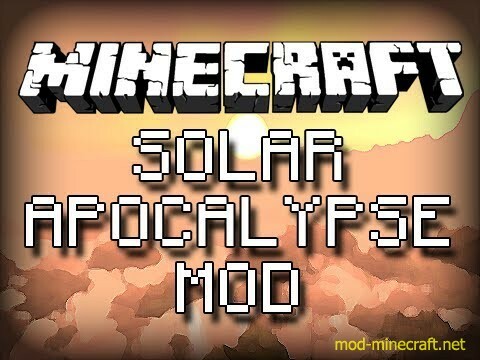 Survive under the ground until you find a way to stop the Solar Apocalypse. Ever wandered what would happen if you opened it? Never again, open it and watch the consiquenses of you’r decision. You have discovered a way to hold out the suns heat. But this glass is not perfect, it seams like it is attracting lightning and if hit it breaks. 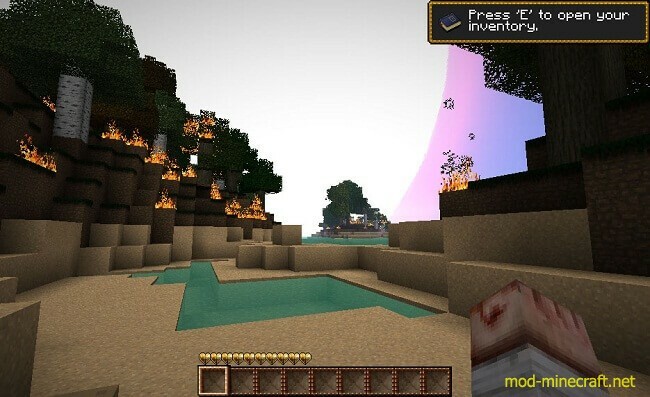 You went to the nether and found a new material. 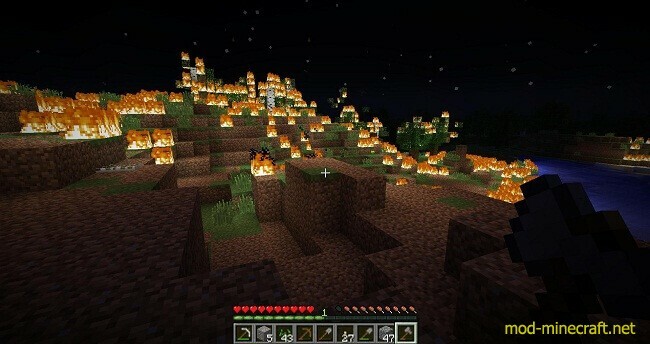 What would happen if you combined that with the obsidian glass? Nothing happens, so go get some resources. 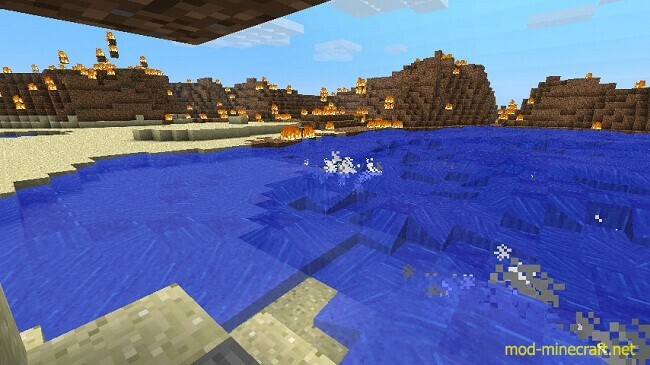 Items, people and animals burn in the sun. Fire rains from the sky. Added a performance setting, turn this up by a greater number to fit you. Fixed a bug where you could not activate the Solar Apoc. 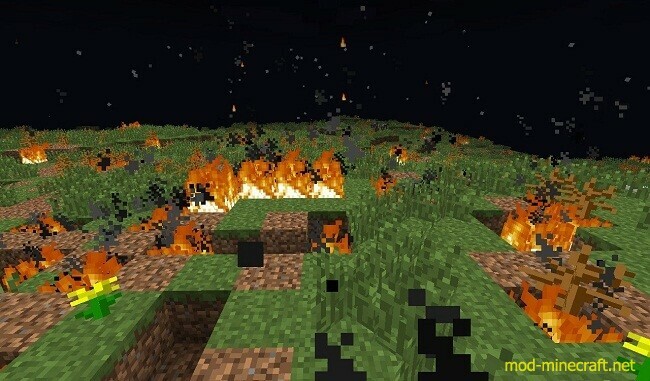 Added a new block that sets you on fire. Added a block that makes water removal less laggy. Changed the Pandoras chest to print the stage – 1 to get the known stage.